How to Speed up My Mac mini? – We’ve Got You Covered! As far as your Mac mini starts running slow over time just like any computer, you will have three basic choices. First – just leave it there and hope that the machine will somehow restore its performance (actually, it won’t). Second – buy a new Mac, maybe even iMac (get ready to shell out a small fortune). And finally, third – take matters into own hands, read this piece, fix the problem and make the device even faster than it was before. So what will you choose? If the latter – study the article below and implement these simple tips! But prior to proceeding, remember the smart dogma: the main reason for Macs getting sluggish with time is that they start lacking free hard drive space due to being cluttered with system data (which is often a junk), apps, and user data. Reclaiming disk space –up to wiping the Mac mini – is exactly what we focus on in our guide. Get rid of the unneeded apps. Free up hard drive space. The generally accepted fact is that to show everything Mac’s got it needs at least 10% of the HD capacity remaining free. Ideally, this rate should be around 20%. So do your best to eliminate every single item that you do not need from your Apple computer. Delete old and duplicate files, clear system junk, remove unused applications, etc. macOS Sierra and High Sierra can take advantage of built-in Optimize Storage functionality available through the About This Mac menu. Fix disk permissions. Go to the Disk Utility with the help of this direction “Finder > Applications > Utilities > Disk Utility.” Choose the main HD and click on the “Repair Disk Permissions” button. The process requires about 15-20 minutes. It depends on the volume of information you possess. Each time you set up a new app, repair the disk permissions on the Mac mini! Run constant macOS X updates. Choose the Apple logo. Pick “Software Update” from the drop-down menu. 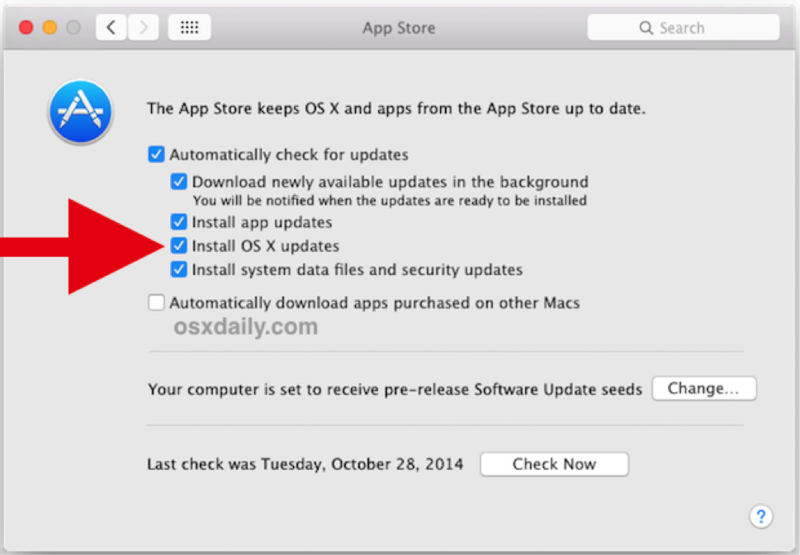 It takes several minutes to connect to the Apple and scan the company for the available updates. It is enough to click the “Install” button to get the desired update. These updates handle many different bugs on Mac mini! Toss away the useless software from the Dashboard. To do so, find the “Dashboard” icon in the dock. Select the tiny “plus” sign. Then, press the exit symbol next to the widgets that are rarely used. Most of such widgets remain active in the background after the Mac mini owner uses the Dashboard. Reset Safari browser. As the time passes, Safari may start accumulating a meaningful number of temporary and cache files. They start to bog down the operating system. Launch Safari by clicking the “Safari” heading placed right next to the Apple sign. 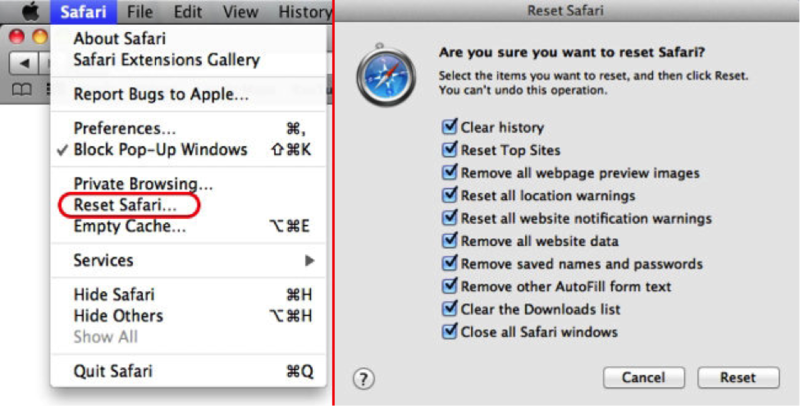 You should pick “Reset Safari.” Before running the procedure, remove any items that you don’t want to be saved on your device. After that hit the “Reset” button. If you do not view Mac mini hardware upgrade as a favorable option due to disk and RAM high prices, you should spend a little less or no money at all on the effective third-party cleaner tool that will gently brush up your Mac’s hard drive mini within several minutes. Thus, you won’t waste a lot of time on doing everything manually. Luckily, there are plenty of worthy Mac cleaning applications out there, free or paid ones. On the whole, they are meant to clean and speed up Mac mini by ‘liberating’ the device from all types of junk. With the best of a kind cleaners, it may take just a single click to speed up the computer. It’s up to you to decide whether you wish to troubleshoot your Mac mini with the help of old and time-consuming methods or rely on a quick solution from the advanced Mac app developers. If you decide to wipe your Mac mini (for a fresh start or before selling it), engrave in your memory these six stages necessary to achieve success. Check the Internet connection first. Download the most recent copy of macOS (High Sierra). Check whether it is compatible with your specific model. Apple’s website has the list of all Mac mini models compatible with the latest versions of operating system. Back up your data. There are two options to choose from: either back up the information with the help of Time Machine or use Clone function. Cloning internal HD to an external drive is a good It makes possible to re-clone the disk image to the internal drive if you decide to restore the computer later or buy a new one. Though, you might need a third-party tool to do so. Make sure to de-authorize iTunes and similar applications. Log out of apps like iCloud, Photoshop, iMovie, social accounts, etc. Disable these apps after signing out. Reboot the system. Run this process in Recovery Mode. To do so, hold Command + R key altogether while rebooting. Disk Utility is there to wipe the hard drive. Once you get there, find Choose the main volume. First, pick Unmount and move to Erase. Next, Quit Disk Utility. Select Reinstall macOS and Continue. Just follow the on-screen instructions. Once you’re done, you will have the reborn and almost like-new Mac at your disposal.